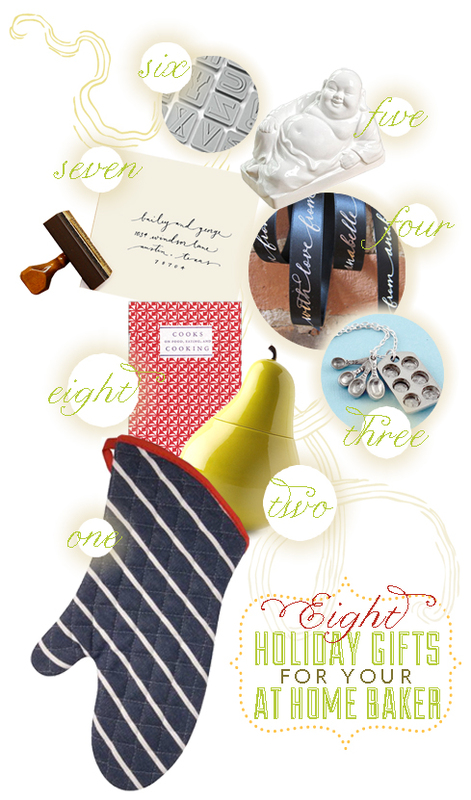 I've sifted through all the amazing holiday gifts out there to find a few that would make any baker or kitchen D.I.Y. 'er happy. Ok, so you probably won't find the perfect gift for your Great Uncle Bernie listed here, but now you all know what's on my Christmas list! four Custom satin ribbon personalizes any wrapped gift and dresses up that tin of delicious brownies!